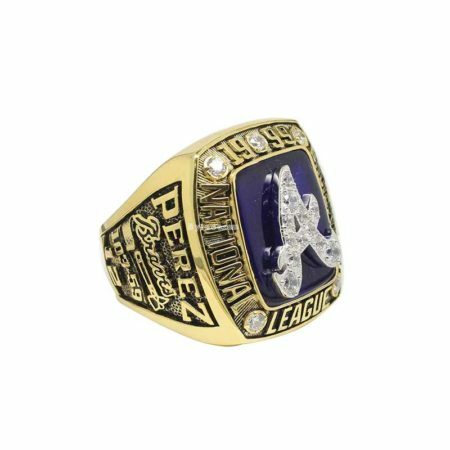 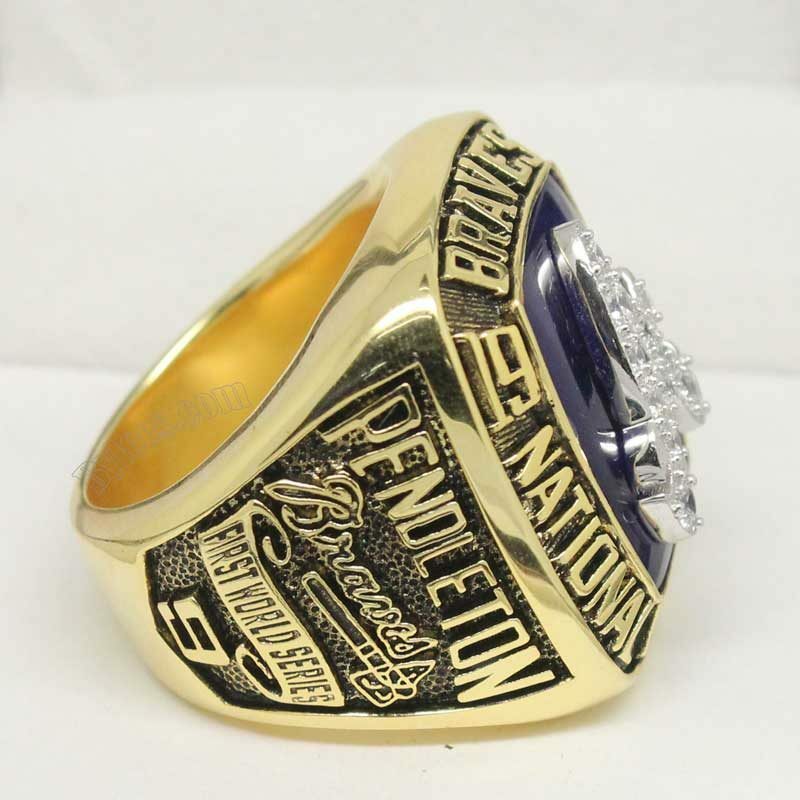 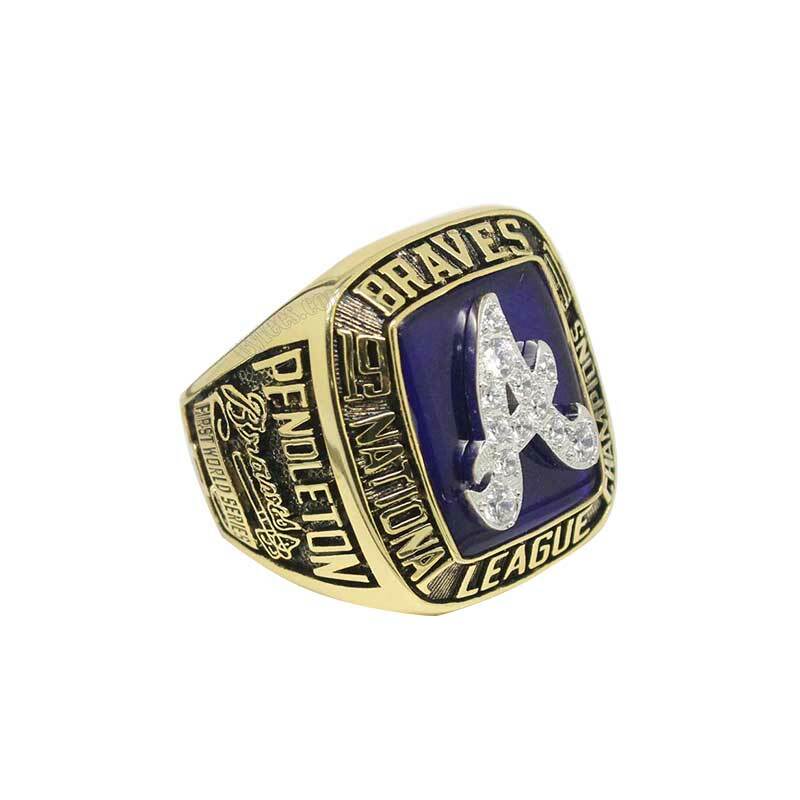 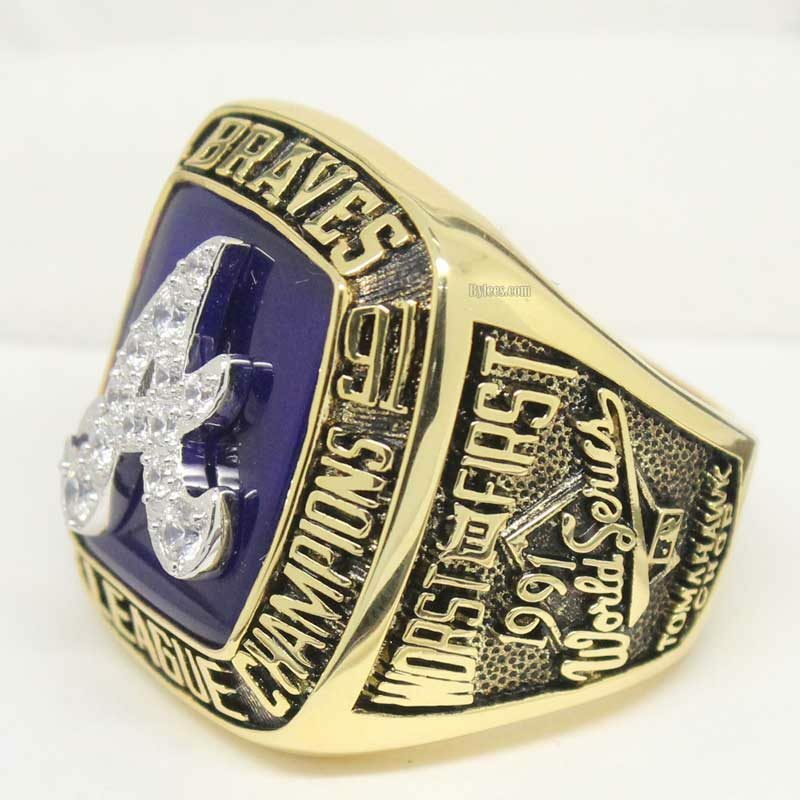 1991 Atlanta Braves NL Championship Ring represented a start of Division dominance of Braves in 1990s. 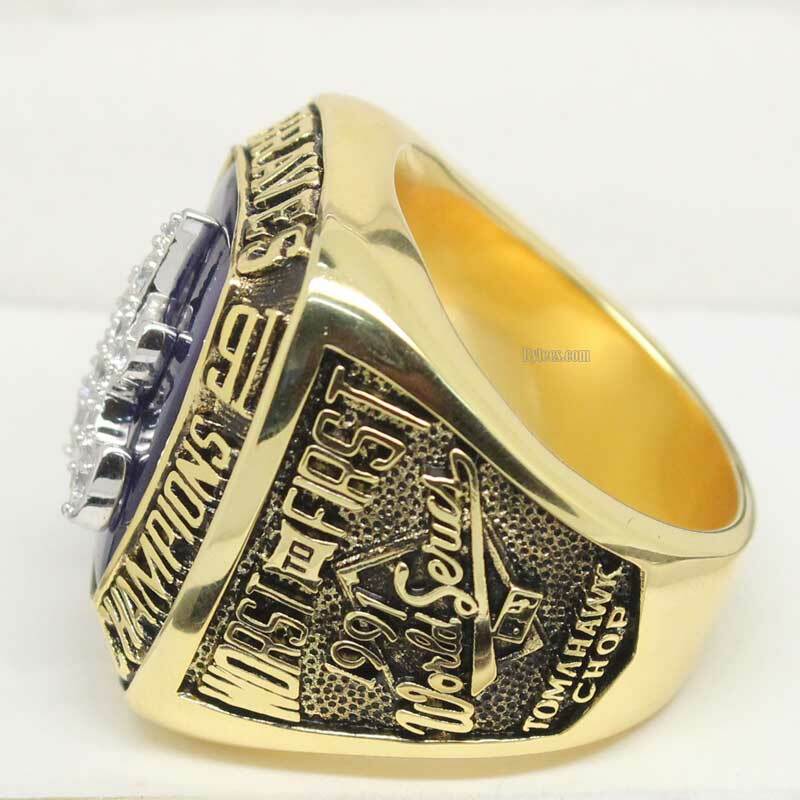 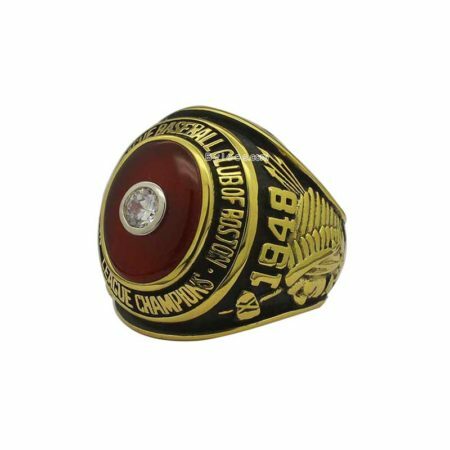 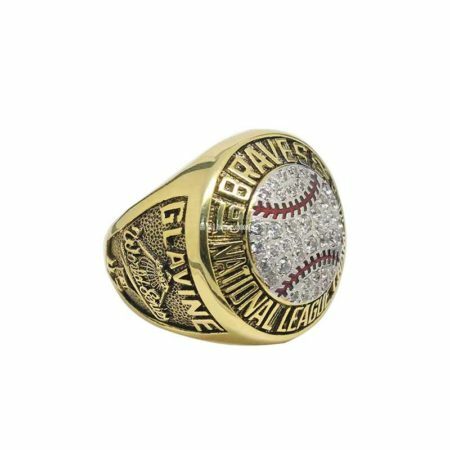 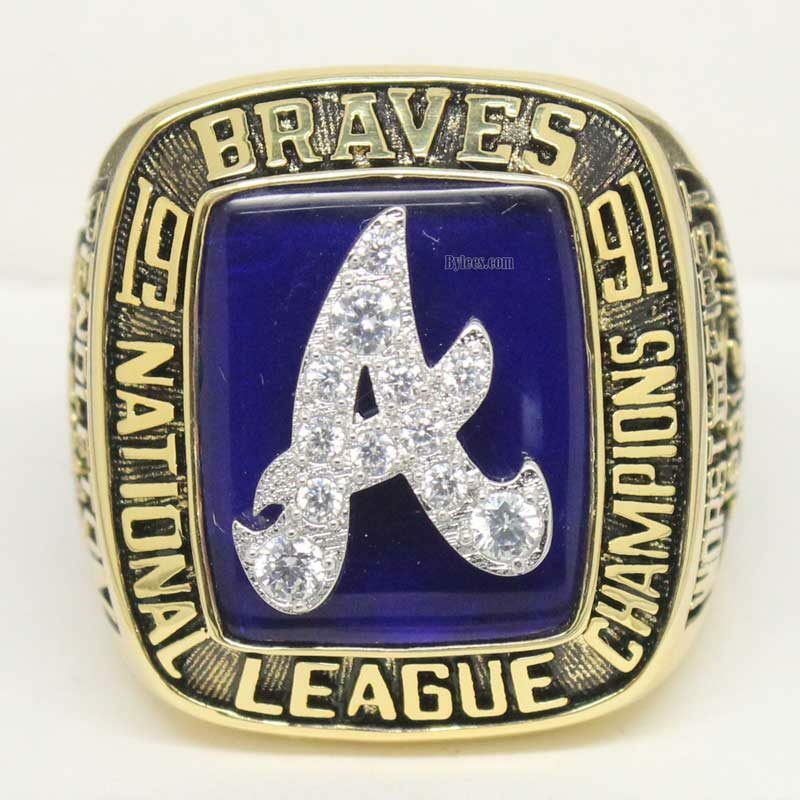 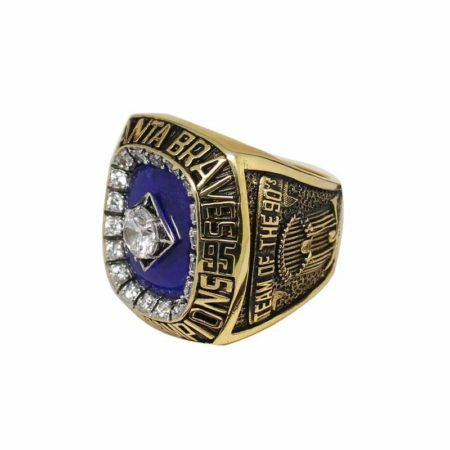 In this Season, The “Worst to First” Braves, who had not won a divisional title Ring since 1982, made their first place in NLCS yet lost to world series only, so you can see the note was marked in the 1991 Atlanta Braves Championship ring. 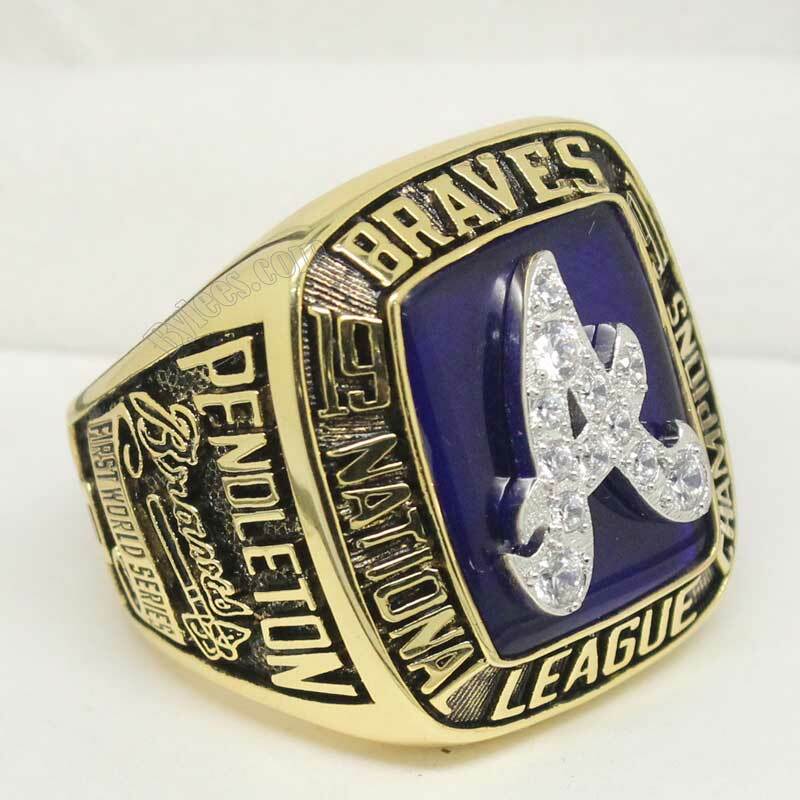 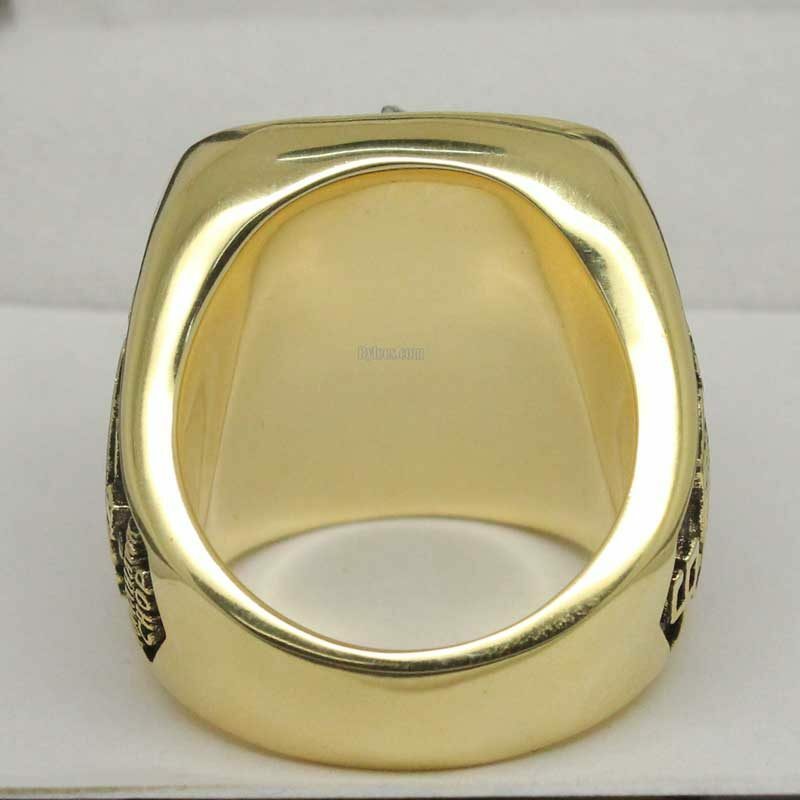 The version here is Terry Pendleton braves Championship ring.